AirVantage is a powerful tool for managing AirLink devices but comes at a slight cost in terms of needing to send data to AirVantage to enable its rich range of features. 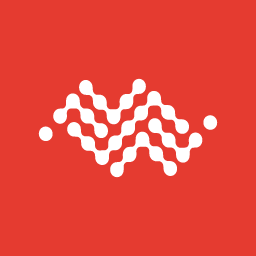 While it’s always important to manage your cellular data, it’s especially critical if you have LPWA devices on small data plans. 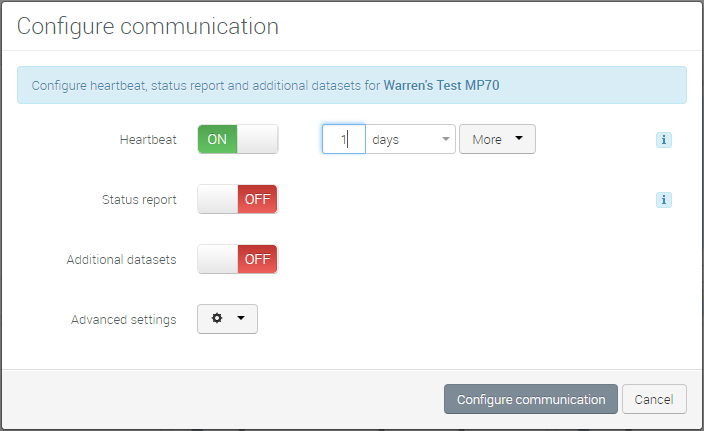 AirVantage provides ways to limit the data consumption using the Configure communication settings. To configure communication, click the icon shown below. In the default configuration (for ES, GX, LS, LX, MP and RV families operating on LWM2M), devices will check in once per day and send just the Heartbeat. 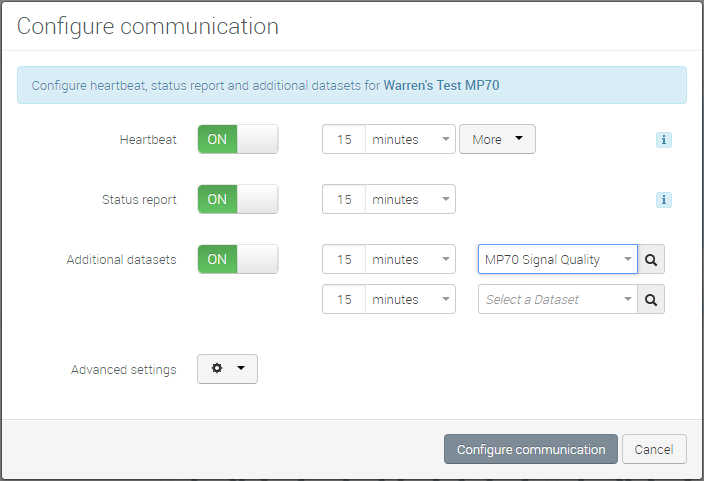 The Heartbeat is a check with AirVantage to see if there are any Operations (firmware updates or configuration changes, for example) scheduled for the device. The average data transfer per heartbeat is ~900 bytes. With just the Heartbeat set, the device will only check in and look for Operations and will send a minimal set of data to AirVantage. This will result in much of the AirVantage user interface being unpopulated, and many of the product features will not work. The more common configuration is to have the device enable the Default Status Report. The Default Status Report collects an additional 50 to 60 data points (depending on the device type). This will collect data such as signal strength or carrier and allow the full AirVantage feature set to operate as expected. The average data transfer for the Heartbeat and the Default Status Report is ~2 kBytes. Many users will set the Heartbeat and the Default Status Report to communicate much more frequently than once per day. The maximum frequency is once every 15 minutes. AirVantage allows you to set the values that work in your environment. Details on the Default Status Report and data collection can be found in the ALMS documentation: See here for details on the Default Status Report and data collection. The third feature that can be enabled is Datasets. Datasets allow you to collect specific data points from the AirLink device. That could be additional data that is not collected by the Default Status Report or could be a reduced set of data that replaces the Default Status Report. The following table shows the approximate average monthly data consumption for various communication configurations. In order to limit data consumption, you have the flexibility to set the Configure communication parameters and use Datasets to customize the behavior of the AirLink devices to meet the needs of both frequency of communication and minimized data collection. Set the Heartbeat and/or Default Status Report to the lowest value that works for your business. Once a day is often enough; some users can get away with once a week once deployed. Decouple the Heartbeat and the Default Status Report. Maybe it’s important that Operations are triggered on demand and you set the Heartbeat to once per hour, but you only need the data updated daily, so you set the Default Status Report to once per day. Create a custom Dataset to collect only the data points that interest you and turn off the Default Status Report.